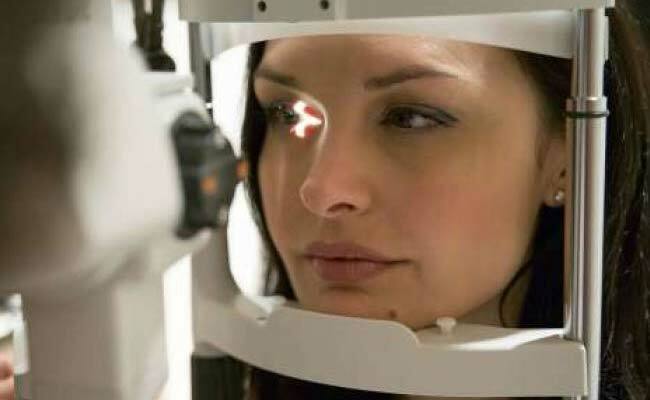 TORONTO: Low voltage electric currents can temporarily improve sight in adult patients with lazy eye, or amblyopia – a condition previously thought to be treatable only in childhood, new research has found. “Until fairly recently, the prevailing view was that if adults couldn’t develop amblyopia, they couldn’t be treated for it,” said one of the researchers Ben Thompson from the University of Waterloo in Canada. “This was the same for anyone with brain-based vision problems — they’re often told there’s nothing that can be done about their vision loss,” Mr Thompson noted. In a series of experiments, Mr Thompson and his colleagues exposed patients to twenty minutes of trans cranial direct current stimulation (tDCS) applied to the surface of the head, directly over the primary visual cortex. They found the treatment temporarily increased the response of that part of the brain to visual information from the lazy eye. The treatment also improved patients’ ability to see low contrast patterns. Their results were published in the journal Scientific Reports. Lazy eye is a loss of vision that originates in the brain. It is caused by the presence of unequal images in the two eyes during childhood, typically due to an eye turn or one eye being long sighted. The unequal input can cause the brain to process information from the weaker eye incorrectly. Unless the brain processing issue is treated, the vision loss remains, even after the problems in the eye are fixed. If left untreated, lazy eye increases a patient’s lifetime risk for legal blindness by 50 per cent, the study noted. The condition in children is very treatable because their brains are so responsive. It is a different story for adults whose brains have long passed out of the critical developmental period. “It’s a long held view that adults can’t be treated for lazy eye because their brains no longer have the capacity to change,” Mr Thompson said. “We demonstrate here that adults do have the capacity, especially when it comes to vision,” he noted. Is Soda Consumption Falling Flat? No Comments on "Low Voltage Electric Currents May Treat Adults With Lazy Eye"